The match at the Stade Mohamed Hamlaoui in Constantine will kick off at 8.30pm Algeria time. 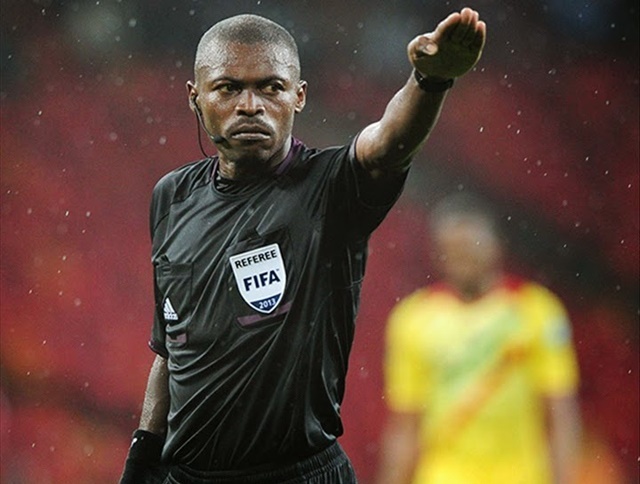 The World football ruling body, FIFA has appointed Gabonese referee, Eric Arnaud Otogo Castane as the referee for the match between the Desert Foxes of Algeria and the Super Eagles of Nigeria. According to FIFA, Castane is to be assisted by Aboubacar Doumbouya (Guinea, assistant referee 1), Seydou Tiama (Burkina Faso, assistant referee 2) and Juste Ephrem Zio (Burkina Faso, fourth official). Rene Daniel Louzaya from Congo will be referee assessor while Omer Kouame Dehoule from Cote d’Ivoire is match commissioner. The match at the Stade Mohamed Hamlaoui in in Constantine will kick off at 8.30pm Algeria time. The Super Eagles beat their Algerian counterparts 3-1 in the reverse fixture and they will fancy their chances for a double against the North Africans.